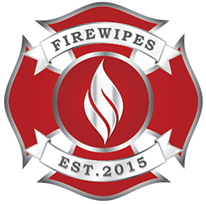 FCSN partners with Firewipes to help prevent firefighter cancer Firefighter cancer nonprofit, fire-service company working together to help firefighters and their families Burbank, California – The nonprofit Firefighter Cancer Support Network (FCSN) announced today its sustaining partnership with Firewipes, a provider of cleansing wipes designed to remove carcinogenic contaminants after firefighters’ exposure to hazardous environments. Cancer is a leading cause of firefighter line-of-duty deaths in the United States. Cancer caused 62 percent of the line-of-duty deaths for career firefighters in 2015, according to International Association of Fire Fighters data. Cancer is a looming personal catastrophe for every firefighter. Since 2005, FCSN has provided assistance and one-on-one mentoring to thousands of cancer-stricken firefighters and their families. FCSN also delivers extensive firefighter cancer awareness and prevention training nationwide. types of cancers in firefighters compared to the general American population. FCSN’s widely-hailed 2013 white paper, “Taking Action Against Cancer in the Fire Service,” provides lifesaving details about recognizing and reducing firefighters’ cancer risks. It’s available as a free download from FCSNwhitepaper13_CQ. FCSN is a 501(c)(3) organization established by Los Angeles County Firefighter Paramedic Michael Dubron, a survivor of stage IV colon cancer. FCSN’s objective is to provide timely assistance to all fire and EMS personnel and their family members who have been diagnosed with cancer. FCSN offers unique expertise through its network of peer-support mentors. FCSN also delivers extensive firefighter cancer awareness and prevention training nationwide. For details, please visit firefightercancersupport.org. 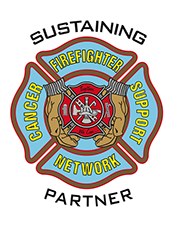 The nonprofit Firefighter Cancer Support Network relies on charitable donations from individuals, families, organizations, and sponsors to maintain and expand its firefighter cancer support, awareness, and prevention programs. FCSN does not endorse any product or service. See annual disclosure notice at bit.ly/FCSNdisclosure.